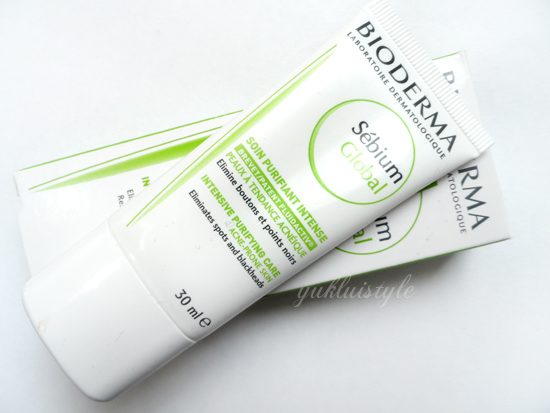 You’re all probably sick of all the Bioderma reviews so far. Last one till after a few other reviews. 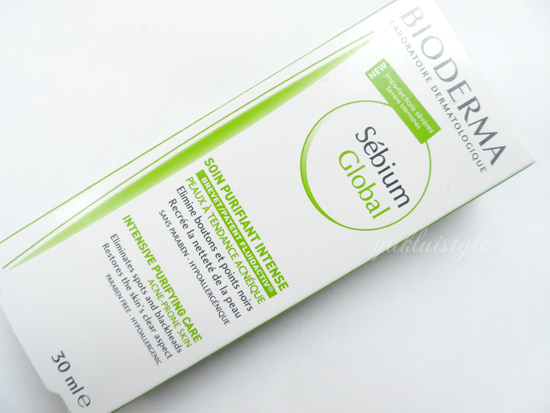 Sebium Global is the first skin care product that biologically treats the causes and consequences of severe blemishes. It has a smooth, light texture which is absorbed into the skin quickly without leaving any residue or greasy feeling. I have applied this morning and night and it has reduced the inflammation of many of my spots. It has a cool cucumber, melon like scent then leaves a weird after scent once absorbed into the skin but it will disappear quickly. The oil control of this product is beautiful, wait that doesn’t make sense. It is AMAZING when used in conjunction with the Sebium purifying and foam wash. Controlled my oil throughout the whole day. I was so impressed by this, even my mum had noticed. 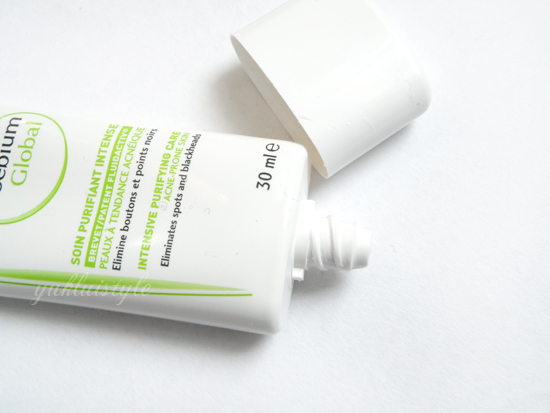 I didn’t find it hydrating to the skin as it did leave it feeling a bit tight on my cheeks rather than soft. I think that the skin tightness was the cause for having a breakout on my chin after a few days during my week trial. I had even adjusted it to once a day and I didn’t really see much improvement, still drying. I would say that this is best suited for if you have oily skin all around rather than combination. The formula is formulated for acne prone skin which I don’t have and I did find it harsh on my skin and caused me to breakout more rather than eliminate spots. This states that it elimates blackheads however I didn’t see a difference. I wouldn’t say that this is a good makeup base for me. I wouldn’t repurchase this again. For now, I will just use this on my t-zone or when I’m the most oilest. Combination skin, this isn’t the one for you. Currently trying out the Sebium AKN and it works better. Hey that’s cool, I really liked it. Will be eagerly waiting for more. This sounds right up my street. I can always find oily/combination skincare but never oily or maybe even really oily skincare which is what I struggle with the most. I'm currently using Uriage's Hyséac K18 foi my oily skin and it helps a bit – it won't dry the skin. And I want to try La Roche Posay's Effaclair K as well.